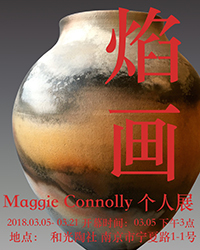 Maggie Connolly ’07 had a solo exhibition called Yanhua, which means Drawing in Flame, at Heguang Gallery in March in Nanjing, China. Some of the works were envelope vases, fired to 1,115 degrees without glaze, but with materials that fume and are absorbed by the clay surface, creating the patterns. Herwarth Walden’s Der Sturm — the journal, gallery, performance venue, press, theatre, bookstore, and art school in Berlin (1910–1932) — has never before been the subject of a book-length study in English. 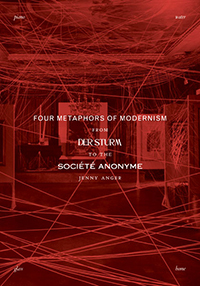 In Four Metaphors of Modernism: From Der Sturm to the Société Anonyme (University of Minnesota Press, 2018), Jenny Anger, Grinnell professor of art history, positions Der Sturm at the center of the avant-garde and as an integral part of Euro-American modern art, theory, and practice. A chance conversation with an office cleaning woman thrust Madeline Uraneck ’70 into the life of a family of immigrants. 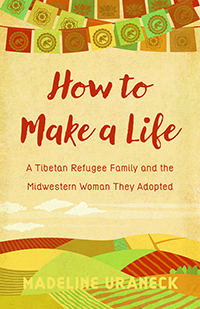 An evocative blend of immersion journalism and memoir, How to Make a Life: A Tibetan Refugee Family and the Midwestern Woman They Adopted (Wisconsin Historical Society Press, 2018) shares the immigration story of a Tibetan refugee family who crossed real and cultural bridges to make a life in Madison, Wis., with the assistance of the Midwestern woman they befriended. 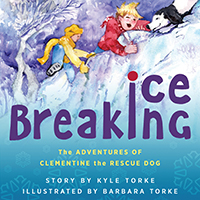 Kyle Torke ’88 has published his first children’s book, Ice Breaking: The Adventures of Clementine the Rescue Dog (Loving Healing Press, 2018). 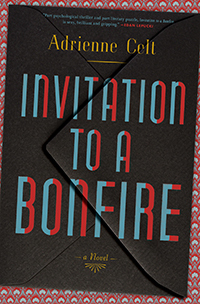 Inspired by the infamous 52-year marriage of literary couple Véra and Vladimir Nabokov, Invitation to a Bonfire (Bloomsbury, 2018) is the second novel by Adrienne Celt ’06. In the 1920s, Zoya Andropova, a young refugee from the Soviet Union, finds herself in the alien landscape of an elite all-girls New Jersey boarding school. Having lost her family, her home, and her sense of purpose, Zoya struggles to belong, a task made more difficult by the malice her peers heap on scholarship students and her new country’s paranoia about Russian spies. 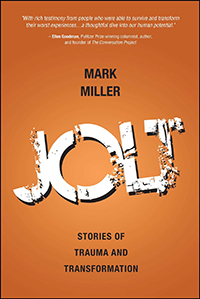 In Jolt: Stories of Trauma and Transformation (Post Hill Press, 2018), Mark Miller ’76 tells the stories of people transformed by growth following trauma and the new paths that they pursue. Some are on missions to help others or to make things right in the world, while others embark on new careers. Some people simply find that their relationships grow deeper, while others seek a stronger spiritual dimension in their lives. In the second half of the 18th century, motherhood came to be viewed as women’s most important social role, and the figure of the good mother was celebrated as a moral force in American society. 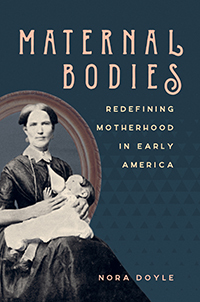 In Maternal Bodies: Redefining Motherhood in Early America (University of North Carolina Press, 2018), Nora Doyle ’06, assistant professor of history at Salem College, shows that depictions of motherhood in American culture began to define the ideal mother by her emotional and spiritual roles rather than by her physical work as a mother. As a result of this new vision, lower-class women and nonwhite women came to be excluded from the identity of the good mother because American culture defined them in terms of their physical labor. 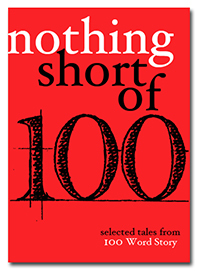 Edited by Grant Faulkner ’87, Lynn Mundell, and Beret Olsen, Nothing Short Of: Selected Tales from 100 Word Story (Outpost 19, 2018) was spawned by the literary magazine Faulkner founded, 100wordstory.org. In these very short stories, every word, every detail, every moment matters. And the things left out, the spaces around the stories, are just as intense. Gemma Sala, associate professor of political science, received a $6,000 Franklin Grant from the American Philosophical Society for her project, “The Right (Time) to Secede: Why Do Regional Nationalist Parties Demand a Referendum of Independence When They Do?” Her research explores how regional nationalist parties, such as the Scottish Nationalist Party and the Catalan Democratic Party, use referendums on independence to solidify their political positions. The grant will enable her to conduct archival research in Edinburgh and Montreal, as well as interview politicians and activists involved in Scottish and Quebecois referendums of independence. In February, Annie Ewaskio ’04’s vibrant paintings were showcased at the Elijah Wheat Showroom in Brooklyn, N.Y. 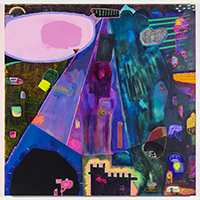 Her oil-and-cold-wax-on-canvas pieces were a part of an environmentally-themed winter show entitled Persistence of Future Memories.